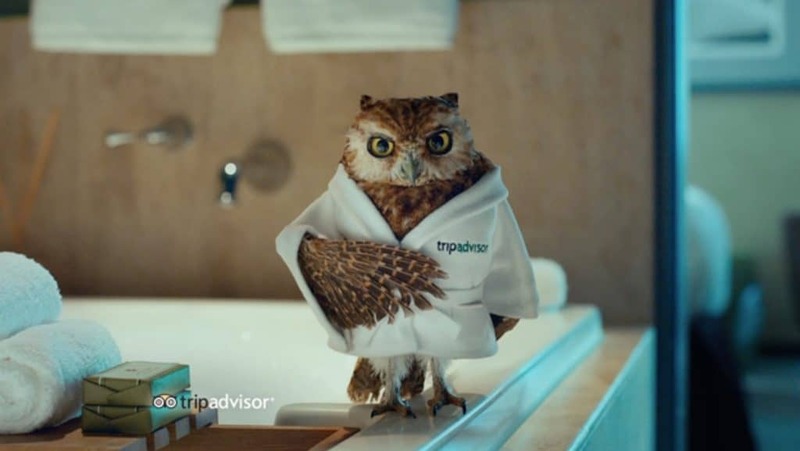 Lena Beug brings to life a chic and shrewd owl in a new series for TripAdvisor. Want some wise advice before booking a hotel? Look no further than the dapper spokesman in TripAdvisor’s latest campaign. A British bathrobe-sporting owl lounges in the lap of luxury while pitching the ease and utility of TripAdvisor’s comparison feature. Directed by Lena Beug, the “Little Wiser” campaign and charming owl frontman urge viewers to “Trust this bird’s words.” Whooo wouldn’t?